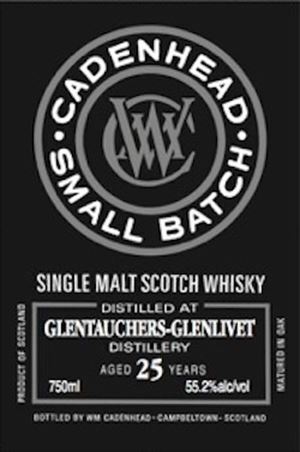 Independents’ day this week, with three whiskies from Cadenhead and three from Duncan Taylor. 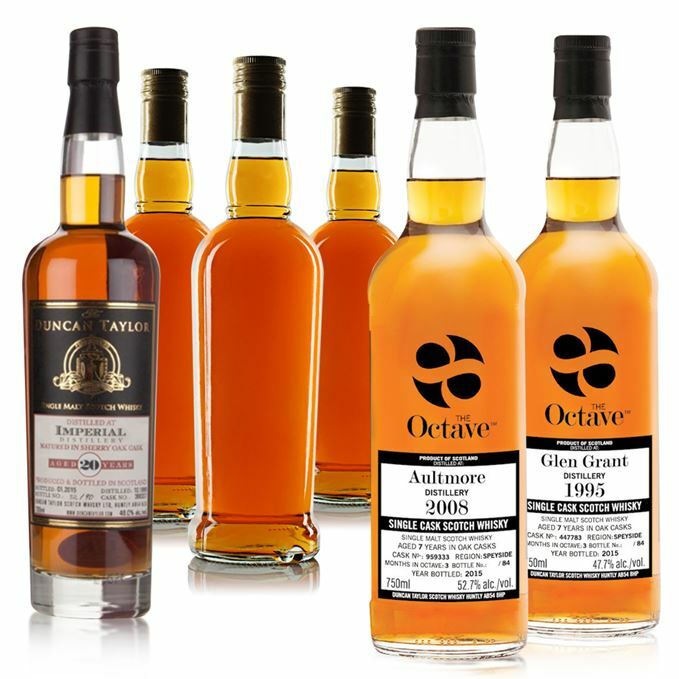 Aultmore, Benriach, Glen Grant, Glentauchers, Imperial and Linkwood all feature. Typical Aultmore green grass intensity with a backing of crystallised aromatic fruits and, in time, a restrained, oxidative Sherry influence and a whiff of sandy bodega floors (similar to the Glen Grant, below). The first thoughts are how impressive it is for a young whisky, brimful of vitality. Water reverses this, showing the cask to be in charge. Soft and gentle when neat, so I’d stick with drinking it like that. It’s only when water is added that you see the joins where the cask is struggling slightly to contain the exuberant youthfulness. Watching a small child dressing up in her mother’s fur coat. Shows good distillery character and it is this (rather than cask) which is the driver. A fat, fruity note adds an extra dimension to the hot apple pie dusted with brown sugar which initially emerges, soon followed by orange peel, then a hot mash tun note. With water there’s green almond and a lightly vinous note. Clean and lightly honeyed, with some hazelnut and mint. A succulent mid-palate becomes increasingly spicy. Flattens with water – so leave it on the side. Clearly Benriach, but dialled up a notch. Hot pies cooling on the windowsill. A blackbird sings. It opens with autumnal hedgerow fruits and moist undergrowth, then a distinct whiff of fenugreek leaves and turmeric and an intriguing wet sand/marram grass thing, similar to the Aultmore above. 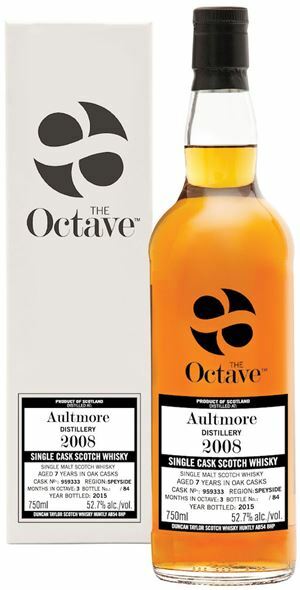 The octave cask then begins to move forward (this is amplified with water) with nutty oak and milk chocolate. The alcohol is low(-ish), which might explain the slightly flat start, but it certainly perks up in the mid-palate, where some sweet creaminess from the cask adds weight to those fruits. Water softens it too much. Well-balanced and slightly resinous. The octave programme is all about how much of an impact the small Sherry cask has on the spirit. This works and gives an easy-drinking dram. Reading Keats while walking home with a takeaway curry. Clean, with positive distillery character: dry grass, honeydew melon, green grapes. Mature, but fresh, which is a lovely combination. Very clean and fresh, with the reassuring plumpness of bread-and-butter pudding in the middle. This combination spreads well towards the finish. Ripe, if slightly short. Pink marshmallows, with a mustard seed-like tingle. The feel, combined with the lively distillate, adds sufficient weight. Well worth a look. Chilling on an August Bank Holiday in the sunshine. Luscious old Imperial, all heavy yet gentle fruits: sweet Moscatel, mulberry jam, blackberry. Then there’s a lift of scented pot-pourri. Elegance. A tiny, dusty cask note to start, but after that the sweetness immediately comes through, adding in spice, then toffee. Only a drop of water is needed to bring out mint. Quite lovely. Another great Imperial from Duncan Taylor. Classic, mature, balanced. Listening to Giant Sand’s ‘Shiver’. The rich, oxidised notes which come at the start are somewhat reminiscent of a Rutherglen Muscat, but the fresh apple of the distillery is always present. Initially, it weaves gently between these two poles, showing real elegance, briary fruits, bodega notes before a dominant note of ancient Calvados acts as a fixed point to the surrounding complexity. In time (and with water), there’s varnish and a little exotic fruit. Soft and gentle, with a lovely mid-palate texture. It’s an apple orchard, but with added, succulent layers. A profoundly mature whisky, but still with sufficient energy. Everything you expect (nay, demand) from Linkwood. Listening to Christy Moore’s version of Yeats’ ‘The Song of Wandering Aengus’. Batch 12: Diageo Special Releases 2015 19/10/2015 Port Ellen, Brora, Clynelish, Lagavulin, Caol Ila, Dalwhinnie, Dailuaine, Pittyvaich and The Cally. Batch 10: Balvenie DCS Compendium Chapter 1 14/10/2015 Five new Balvenie whiskies pay tribute to malt master David Stewart. But are they any good?